The Rebel Sweetheart. : ONE FC: Rise of Heroes | Julaton to Replicate Pacquiao's Feat? ONE FC: Rise of Heroes | Julaton to Replicate Pacquiao's Feat? Will Ana Julaton emerge victorious in her first-ever mixed martial arts fight? After Manny Pacquiao's victory over Timothy Bradley, I bet this question has been looming over Filipino fans, and mixed martial arts fans in general. Exactly one week from today, we will get the answer as Ana Julaton makes her debut on ONE Fighting Championship (ONE FC) at the Mall of Asia (MOA) Arena in the card featuring the world bantamweight title fight between Brazilian Bibiano Fernandes and Japanese Masakatsu Ueda. Julaton, who is of Filipino descent, will be battling former Egyptian kickboxing champion Aya Saeid Saber, who holds an MMA record of 2-3 and has been competing in professional MMA since 2012. Critics say this is considered an added advantage against the Fil-Am. But what is going in favour of Julaton is her boxing skills and experience being the former WBO and the IBA women's super bantamweight champion. Her deep involvement with martial arts (she's been into it since she was a kid) and black belts in Tae Kwon Do and Kenpo Karate are also plus points for Julaton. These skills, combined with the new ones she has learned as an MMA fighter will be initially on display when Julaton conducts an open workout for the media and interested fans on Tuesday, April 29, at 2 p.m. at World Muay Thai Team USA at 4008 Yague St, cor. Chino Roces, Makati City. Julaton’s entry into MMA is generating growing interest as fans are curious if she would be able to duplicate her success in boxing in the ONE FC cage. She admitted that the transition to MMA has been physically tough but she’s enjoying it, adding that she’s used to the pressure of top competition. She is aware that in MMA a fighter has to use the hands and the feet, the elbows and the knees as well as grappling. “With an opportunity to fight for ONE FC, a stage that reaches 1 billion viewers in Asia, it's important for me to be humble and to continue getting better as a fighter. When I debut on May 2nd, in front of 20,000 ‘kababayans’, I must be focused. There's a lot on the line,” said Julaton in an interview with Rappler. 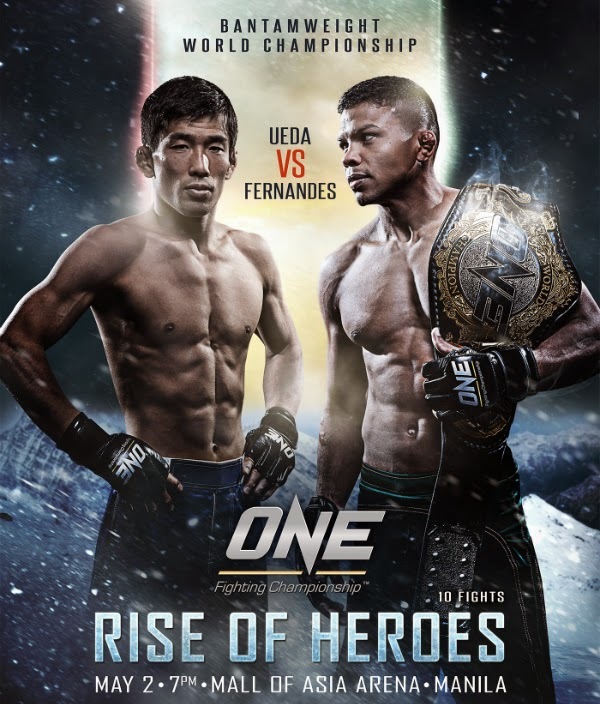 ONE FC: Rise of Heroes. Other Filipinos on the ONE FC card are Eduard Folayang, Jujeath Nagaowa, Rey Docyogen, and Eugene Toquero. Folayang (13-4), who won an exciting match just last December against Dutch-Indonesian Vincent Latoel, will face a former champion in Japanese Kotetsu Boku, who is also coming off a TKO win over Arnauld Lepont last March. Former WBC Asia Atomweight Champion Nagaowa, the first Filipina who will be fighting in the ONE FC cage, will take on seven-time kickboxing champ Jeet Toshi of India. Former URCC champion Docyogen will be looking to get back into the winners circle against American fighter Joshua Alvarez, while Toquero (4-1) will face undefeated Malaysian-American Gianna Subba (3-0).